We also have an impressive arsenal of weatherizing products. With today's technology, there’s no reason to put up with uncomfortable rooms and high utility expenses in your home. That's why Shepherd's Insulation is here to help! Our weatherization services are designed to address energy weaknesses - improving the indoor air quality and overall home comfort. We offer weatherization services in Pueblo, Colorado Springs, Canon City and nearby. Call us today at 1-844-619-6803 or click below to schedule a free estimate! Shepherd's Insulation's highly trained weatherization installers and technicians can transform an uncomfortable, energy-wasting house into a comfortable, energy-efficient “green” home. Using some of the best performing materials available, we will complete all the weatherization upgrades you select. Wouldn’t you like your house to be more comfortable and less expensive to live in and own? Get started today by calling 1-844-619-6803 for a free weatherization evaluation and free estimate. 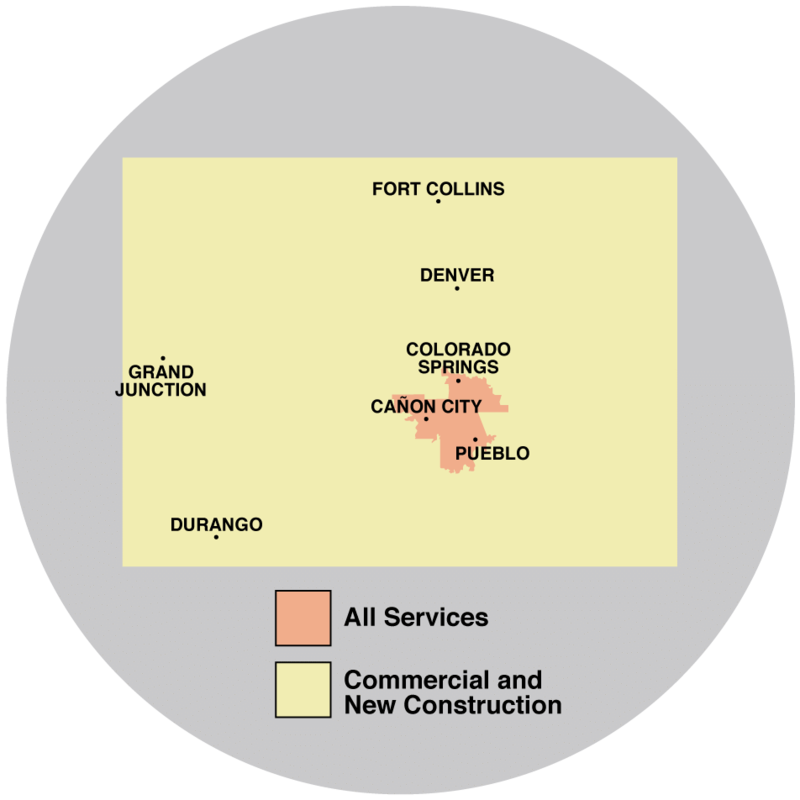 We proudly serve in Colorado Springs, Pueblo, Canon City, Florence, Fountain, Cascade, Penrose, Rush, Yoder, Manitou Springs and throughout the surrounding areas.